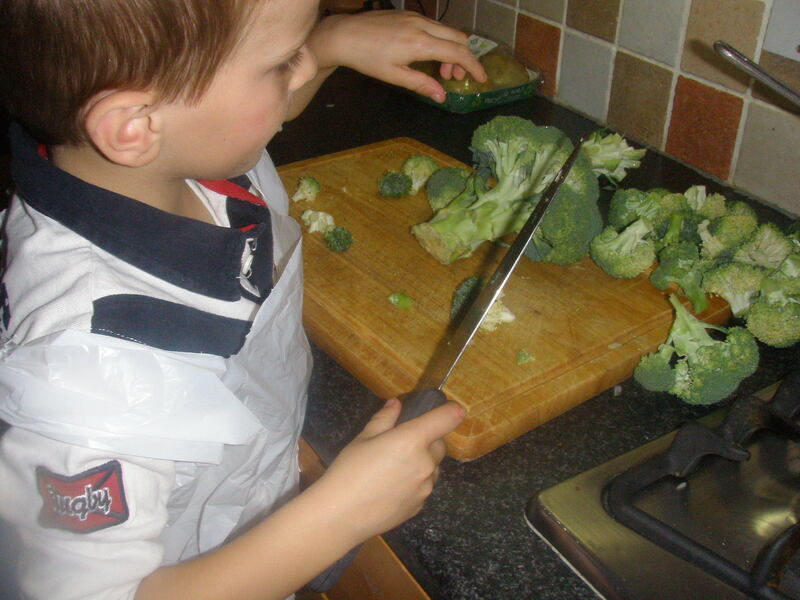 Dan has taken an interest in cooking and here is making broccoli soup. I’ll update it later with more pics. My Little Scribbles is back in business with a new theme and a new love! 2. Pour 3/4 can of coconut milk into a saucepan and bring to the boil. For the last couple of weeks, I’ve made Beef stroganof (the cheat’s way) and it’s gone down a treat, especially with Chef who loves fillet steak. The children are just as fussy. If it’s not pasta carbonara tinned macaroni cheese or spaghetti bolognese, I’m stumped. Heat oil in large pan on medium-high heat. Add chicken; cook 5 min. or until browned. ADD water, vegetables, oregano and Pasta. Bring to boil; simmer partially covered, 12 min. or until pasta is tender. STIR in Cheese Sauce and tomatoes; cook until heated through. It’s day one and I’m still in bed. I’ve coughed so hard I may have pulled something. It’s so painful. I know I’ve woken Chef a few times during the night, he’s had to be up by 5.30 each morning to go to work. I’m following the Flylady’s Beginner BabySteps How hard can it be? If I stick to one small task per day, surely things will get easier in the home and I’ll have a good schedule by the end of the month.